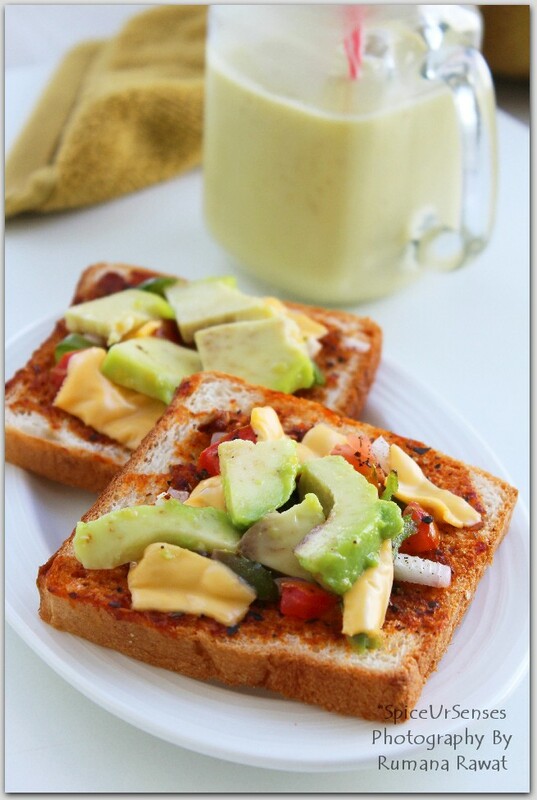 Chilli Cheese Toast With Avocado! Chilli Cheese Toast With Avocado! 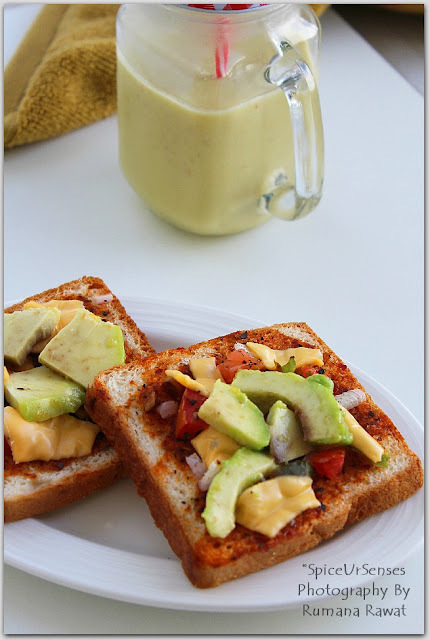 Easy beezy breakfast on busy weekdays or weekends. 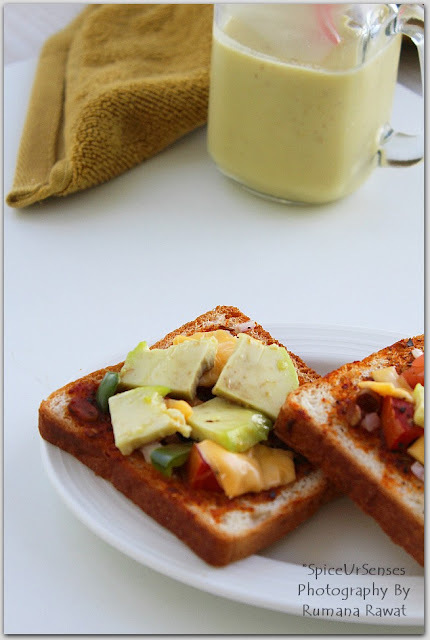 Paired with milkshake or juice makes a very healthy and filling dish. Pre-heat the oven at 180c for 10 minutes. Apply pizza sauce on the bread on one side. Then arrange the chopped onion, capsicum and tomatoes. Sprinkle some salt and pepper. Then sprinkle the cheese on all the bread. Grill the bread till the cheese is melted. 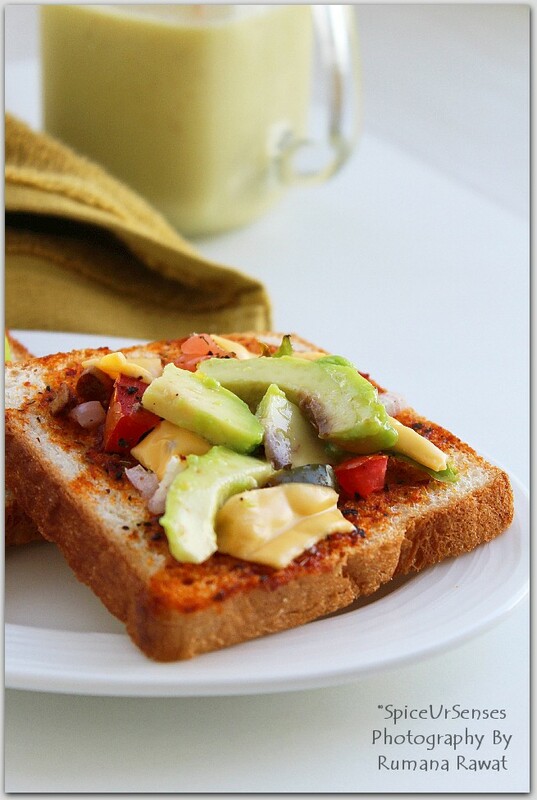 Now arrange the avocado slices on top of the grilled toast and sprinkle some more salt and pepper.